That was the planned title of this piece, but I guess I chickened out. This is my little tribute to one of the funniest programmes on TV (The Thick of It) and filthiest foul mouthed character ever created, can’t wait for season 4. Each print measures 35cm x 59cm (approx) and is signed & numbered. Printed on high quality 200gsm art stock. Each print is strictly limited to 100 copies, once they’re gone they’re gone! Posted in Prints. 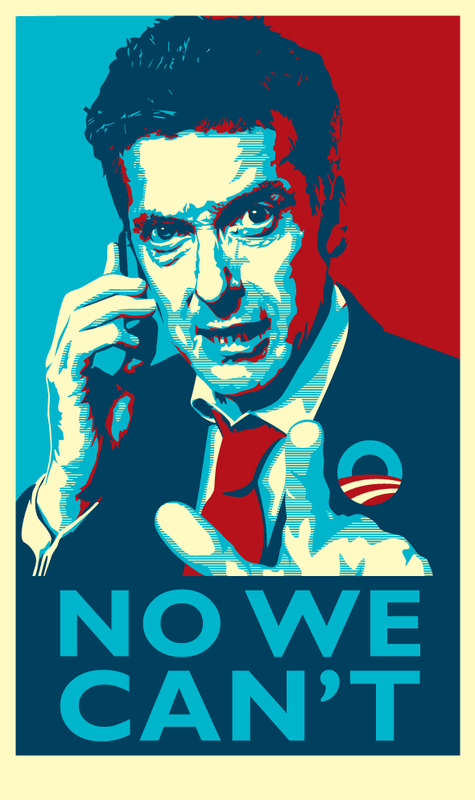 Tagged with Malcolm Tucker, The Thick of It. Well this is my second attempt at setting up a blog! Woo hoo! The idea behind this sudden interest in modern technology is that hopefully my artwork will gain some much needed exposure/notoriety and in turn it will give me the motivation to be more prolific in my output! So keep checking back for new stuff! Posted in Ramblings. Tagged with artwork, me, technology.